The MC602 System was discontinued in 2004 and has been replaced by the M&S DMC3-4. 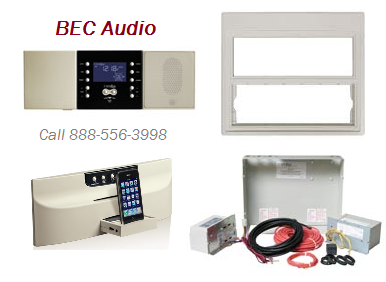 The M&S Systems MC602 Intercom System's existing room, patio, and door units WILL work with the new M&S dmc3-4 master unit. These stations don’t have to be changed or replaced. 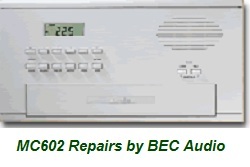 You can keep your room stations, patio stations, door and speakers that are part of your old MC-602 intercom system if you wish. 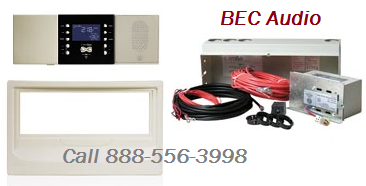 In addition, if your doorbell system still works you may re-use the existing MC3 or MC8 chime board. 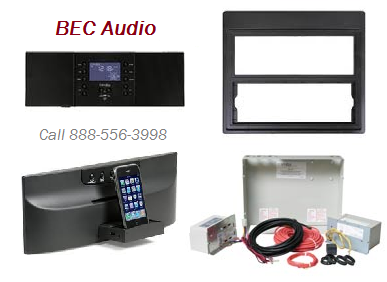 If you have the cd player now, the new system would need to include the larger housing (DMC1HC) and a new cd player / iPlay unit if you plan to avoid drywall patch work. 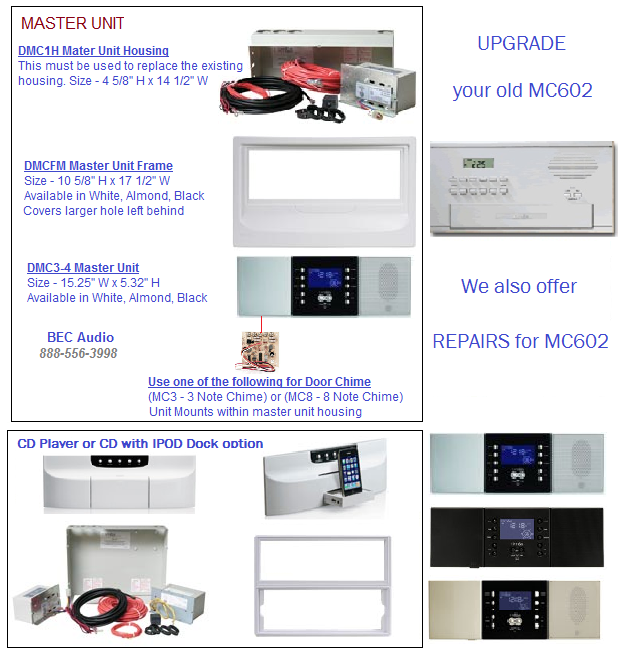 *** Remember that when you upgrade your M&S MC602 intercom your old componants will still work on this new DMC3-4 master unit. Some of these parts are, N65RS, N68RS ROOM STATIONS, NW65RS, NW68RS PATIO STATIONS, MC3, MC8 CHIME, MVC1, MVC1A, and more.